PureFormulas carries homeopathic products is the fastest company I have ever seen. If they have the product on hand you will get it in speedy time. They offer great prices. 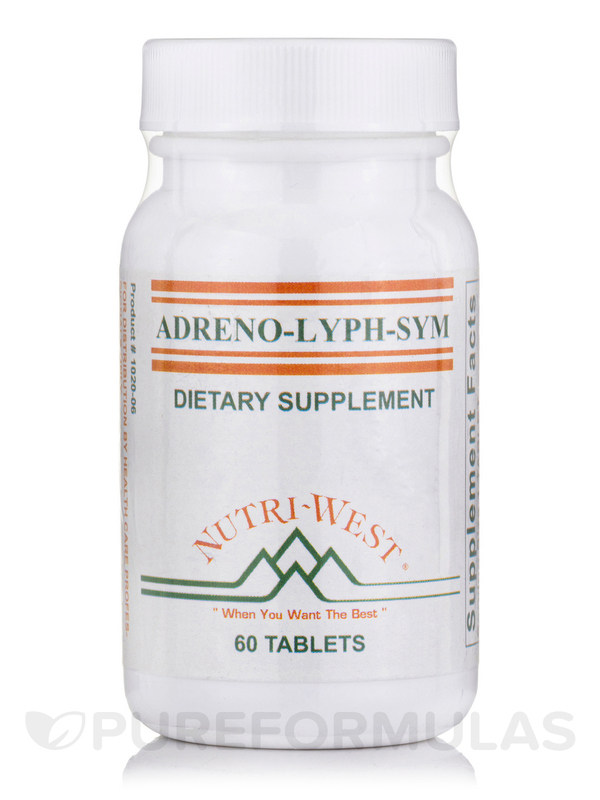 I use Adreno Lyph Sym by Nutri West for adreno gland energy. 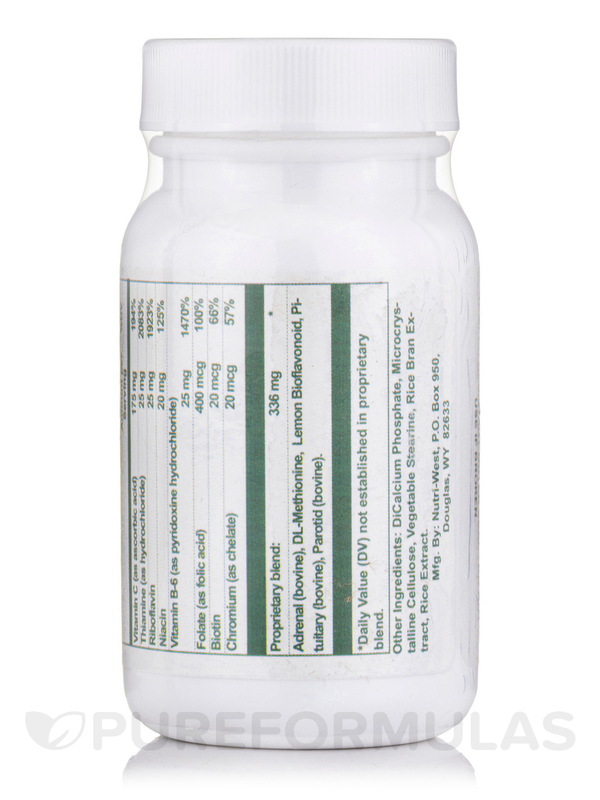 This high potency formula supports the individual sympathetic body types. High Potency Adrenal For Sympathetic Body Type Each Tablet Supplies: 231mg of raw tissue concentrate (not extracts) from bovine source; Adrenal 220mg‚ Pituitary 10mg‚ Parotid 1mg‚ Vitamin C 175mg‚ Bioflavonoid Complex 45mg‚ DL-Methionine 60mg‚ Vitamin B-1 25mg‚ Vitamin B-2 25mg‚ Vitamin B-6 25mg‚ Niacin 20mg‚ Folic Acid 400mcg‚ Biotin 20mcg‚ Chromium (as chelate) 20mcg. Do not take during pregnancy. Pituitary glandular is contraindicated in cancer. 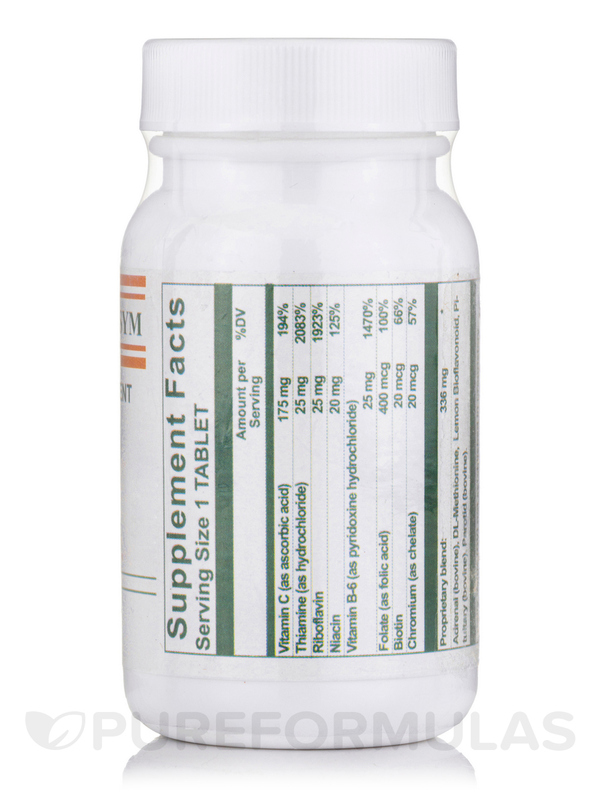 High dosages of vitamin C (>1000 mg.) should not be taken by gout patients or by kidney stone formers. Vitamin C is contraindicated in iron overload disease.